Starting from yesterday, October 3, United States citizens will hear a warning tone on your iPhone that should sound familiar. This is a presidential alert system that the government is testing. At the same time, you’ll hear the same sound that occurs during AMBER and weather alerts. Unlike those alerts, however, a presidential Alert can’t be turned off using the Settings app on your device. In fact, phones that are missing SIM cards or aren’t activated will also receive the alert if they are on.
? TODAY (10/3): At 2:18 PM EDT, we will be testing the Wireless Emergency Alert system nationwide. Expect a message box on your phone along with a loud tone and vibration. 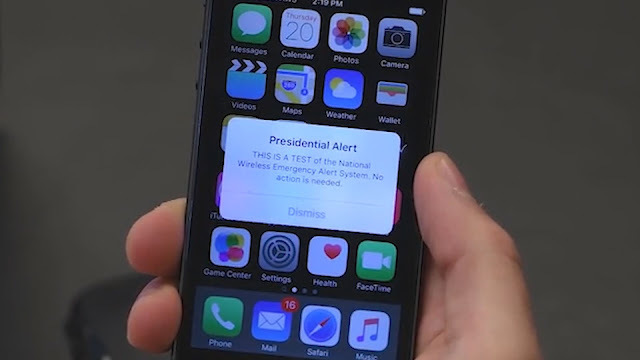 A presidential alert doesn’t come from President Trump — from his desk, smartphone, or otherwise. Instead, the message would be crafted by FEMA officials working with other agencies during a nationwide emergency. A 2016 law requires FEMA to test the National Wireless Emergency Alert System every three years.